The 2012 Olympic and Paralympic Games were the biggest sporting events in UK history and we're proud to have played a key role in keeping people safe. How we helped deliver the UK's largest peacetime police operation ever, both in London and across the country. The enthusiasm of volunteers was one of the hallmarks of London 2012: BTP's volunteers were no exception. Click on the gallery below to see a selection of our photos from London 2012. You can see more pictures, tweets and videos from our time at the London 2012 Olympic and Paralympic Games at Storify. 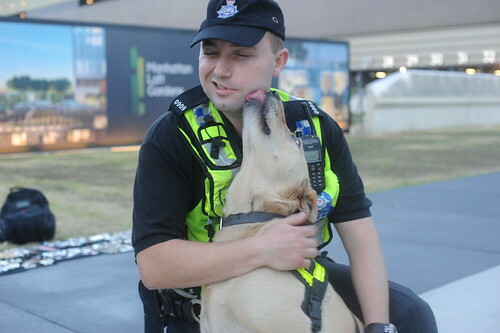 Above: explosives search dog Max shows his appreciation to his handler. 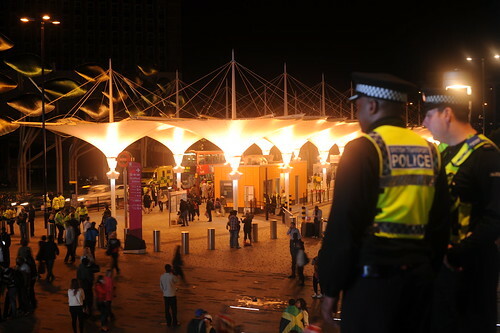 Above: officers survey the scene outside Stratford station as crowds disperse.